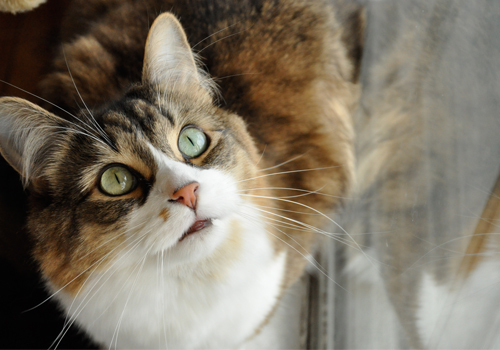 “A” is for Asthma: How To Know If Your Cat Has It. Feline asthma- which is closely related to human asthma – is fairly common in both outdoor and indoor cats and affects over 1% of the total cat population. Symptoms include coughing, labored breathing, and wheezing (sometimes it seems like they’re just trying to get a hairball up – but it just won’t cooperate).